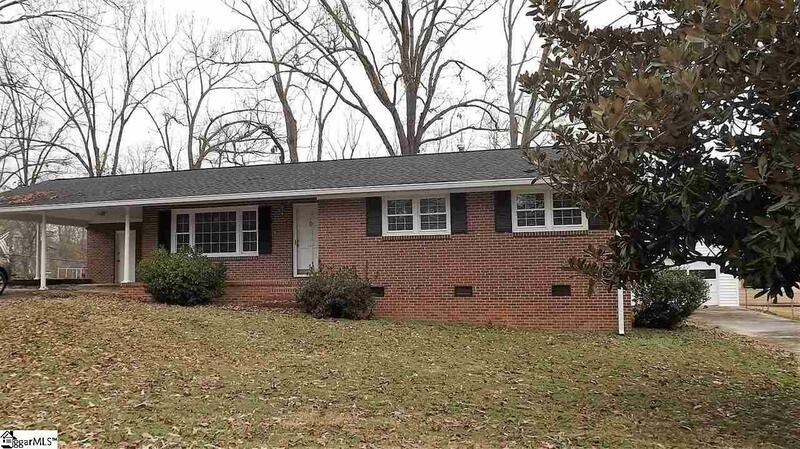 Incredible opportunnity for a cute brick ranch in Mauldin School Districts. Enjoy the close proximity to interstates, shopping and restuarants all while having 4 car storage with a 2 car attached carport and 2 car detached garage. Two long driveways allow for guest parking and the large living room and open kitchen/dining space allow for easy entertaining. The screened porch overlooks a large fenced lot. The rocking chair front porch facilitates a visit with the neighbors. All this at a price that allows for renovations to fit your own taste. Newer roof and some updates include some window replacement and HVAC. Don&apos;t hesitate or this great home will be gone. More photos 1/27/19. Initially a fridge was included in this home; however, the older fridge was removed and is no longer a part of any contract. Change has been made as of 1/28/2019.